Pretty self explanatory, a dune sunflower is a sunflower that grows on a dune! Their bright yellow petals cannot be missed. They grow at an extremely fast pace, and are imperative to preserving the coastal dunes. Like other beach flowers, they thrive in bright sun, saltwater air, and low-nutrient soil. They can be found in eleven counties in Florida, all of which are on the eastern coast. Did you know that the Latin word for sun is “heli”, and for flower it is “anthus”? The scientific name for the Dune Sunflower is Helianthus debilis, with “debilis” referring to this flower’s “debilitated” crawling growth pattern. 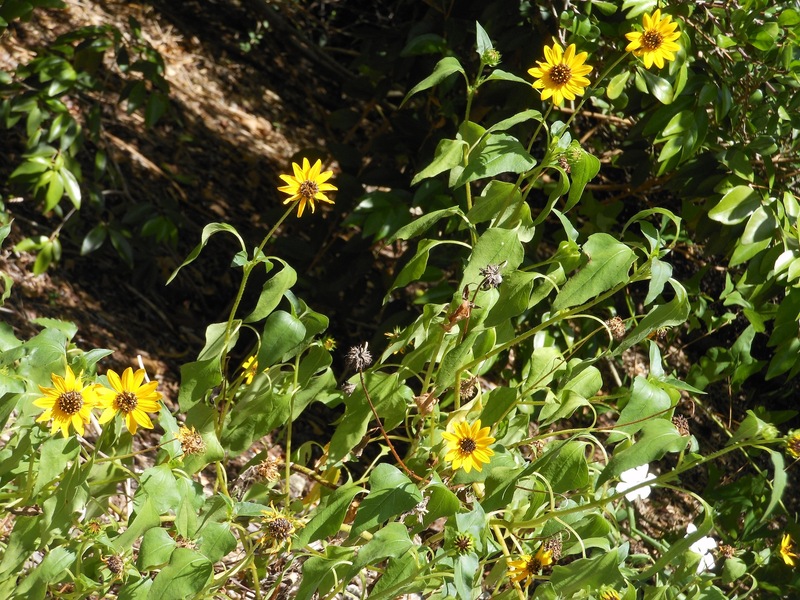 Learn more about the Dune Sunflower with the Florida Native Plant Society.